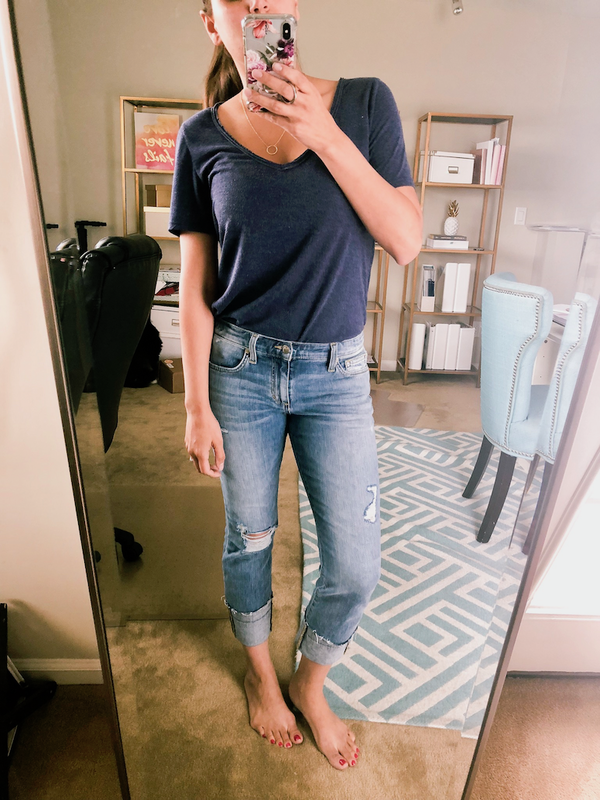 So I did a little Nordstrom Rack denim haul two weeks ago and thought I’d share some of my favorite finds! I ordered a slew of jeans and shorts online knowing I needed to freshen up my stash a bit. And I ended up returning quite a bit and exchanging while in store. Well, c’est la vie. 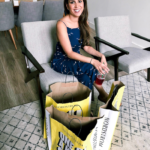 So here is what I picked up during my little Nordstrom Rack denim haul! 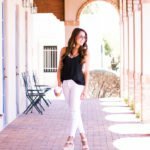 I’ve been looking for a pair of white jeans forever and finally found a great pair! And they’re under $40. 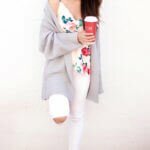 You can see this whole look + get my tips for how to shop for white jeans that aren’t see through in this post. These Joe’s cropped jeans are so cute and relaxed! I sized up for a more boyfriend-ish fit, and because they’re more comfortable. I picked up this pair and this pair in a darker wash. These 7 for all Mankind mid-rise dark wash skinny jeans fit true to size and were a great buy under $100. Actually, all of these designer jeans at Nordstrom Rack were under $100 and they fit great! I’m loving the mid-rise right now, it looks right on trend with a half-tuck top. In this pic, I’m wearing it with this lace cami from ASOS and these wedges. Pull-on shorts. I don’t wear denim shorts because I’m self-conscious about my thighs, but it is Arizona so I have to own something or you just sweat buckets. I’ve been into pull-on shorts lately since they’re longer in the crotch and a looser, more comfy fit. I always size down since the waistband is elastic. And, most of these are under $20! I’m thinking about doing a little pull-on shorts haul just to freshen up my summer wardrobe. 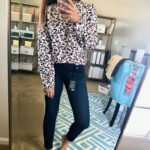 Are you updating your jeans for spring? Let me know and if you’d like to see more hauls like this!